The IBM® Hardware Management Console (HMC) provides to systems administrators a tool for planning, deploying, and managing IBM Power Systems™ servers. 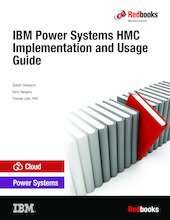 This IBM Redbooks® publication is an extension of IBM Power Systems HMC Implementation and Usage Guide, SG24-7491 and also merges updated information from IBM Power Systems Hardware Management Console: Version 8 Release 8.1.0 Enhancements, SG24-8232. It explains the new features of IBM Power Systems Hardware Management Console Version V8.8.1.0 through V8.8.4.0. The major functions that the HMC provides are Power Systems server hardware management and virtualization (partition) management.